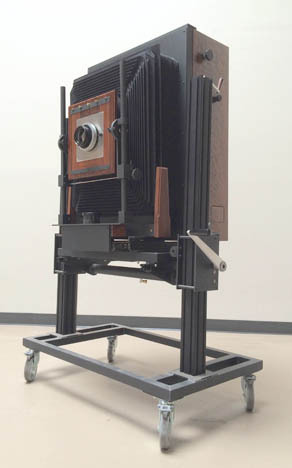 After 20 years, 20x24 West has wound down operations with the Polaroid 20x24 camera. Tracy Storer is still operating as "Mammoth Camera Co" custom building, repairing, and modifying equipment to meet your needs, as well as working as a freelance Large and Ultra Large Format Camera Operator. 20x24 Holdings plans to continue their operations into 2018 ! For information email Tracy Storer, Director, from the Contact page. Mammoth Camera Co. my other effort, have built three brand new cameras for the 20"x24" instant format, including new cameras for the New York studio and 20x24 Europe, as well as other custom built cameras and studio accessories. and accessories, please click here.